Brain teasers are not only brain exercises to stimulate cognitive function, they are fun activities too. You have been using brain teasers since your school days. You teacher might have given you a lot of brain teasers to solve in the class room in the name of a good educational tool. And, you would also have loved doing such brain exercise as they were different then your regular classroom work and were fun to do. After you school, again when you were preparing for your interview, your friends or family would have suggested you solving some brain teaser to make your brain sharpen enough to come up with a reply quickly. You have used brain teasers in your school and college days to make your brain muscles more strong and now when you are old, you think that you need no more brain stimulation at this age. You might be right, but what is wrong if this time you take it as a fun activity. In your friend list, there might still be a few who have been with you since your school days. So, this time, why not play this once again with your college and school time buddies. It would be great fun to conquer them in riddles. While playing, you might recreate the same glorious moments that you had enjoyed at heydays of youth. 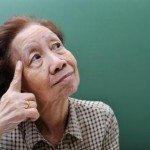 Neurologists too suggest kind of brain activities for the elderly people to fuel brain cells in the old age. It is said that the body cells deteriorate or die if not used on a daily basis. Kind of thoughts are also there in you mind, and concerning that you might have given importance to house chores, walking and gentle workout in your daily routine. What about your brain cells? Are they getting enough workouts to maintain natural brain development? To keep the mental pathway open at the old age it is vital to give the same workout to the brain cells as you have been giving to the rest. Teasers not only allow problem solving benefit but they also increase brain’s attention span and thus speed up its functioning. Brain is the most important organ of your body and its smart working is must to charge up the whole body. Teasers and riddles encourage thought and thinking process and in elderly they also encourage their social interaction with others. 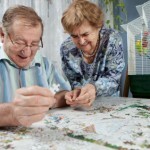 Social interaction help them prevent from depression and boost their cognitive brain functioning. Teasers can be found at any nearby store and you can also find them on internet. 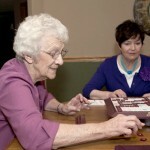 Lots of websites with ‘games for the elderly’ offer teasers, crossword puzzles and memory game for the elderly. To start with, here is a teaser to solve you right away. Five young women participate in a foot race. Catharine comes in before Cynthia, but after Mary. Barbara places ahead of Mary, and after Nicole. With this information, you have to come up with the order of the race results from first to last.